Aircraft Counterweights, made of supreme quality tungsten alloy are used in several applications where high inertia forces are present. Owing to their high density and small volume, these tungsten counterweights are considered as a best material to be used in aircraft for eliminating the vibrations. 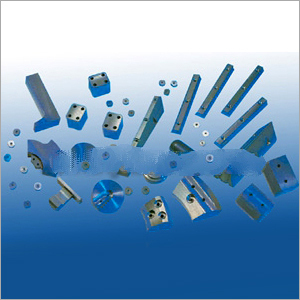 We offer quality aircraft counter weight which is constructed from top grade tungsten alloy. Owing to it's strong construction, it is used in applications which witness a high inertia force. Couple of salient features of this counterweight are small volume and high density. Manufactured by us with complete quality assurance, these dimensionally accurate tungsten counterweights are nearly the best material for eliminating vibrations in the aircraft. Our aircraft counterweight are used for maintaining the center of gravity of the aircraft, be it a rocket, plane or helicopter. The factor of 'heavy density' is crucial for keeping the counterweight small in contrast with the surface of airfoil steering.